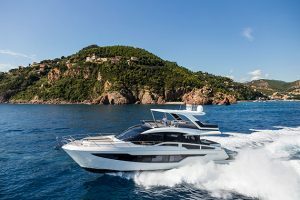 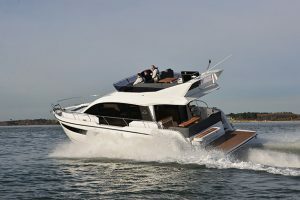 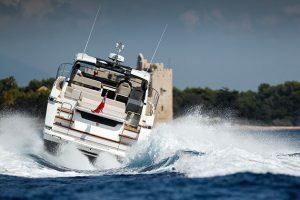 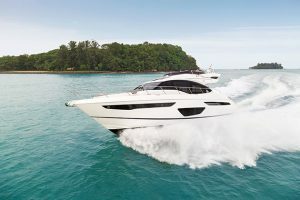 The Princess V58 Open is a more traditional take on the sportscruiser genre. 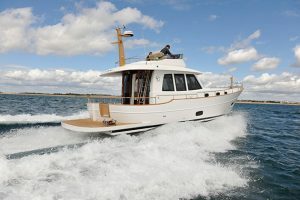 Sure it wears Princess’ new look and uses the latest technology but in terms of design it is a sportscruiser of the old school. 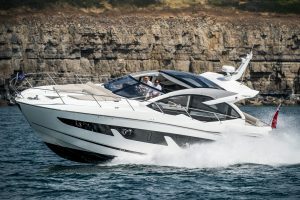 By that we mean a spacious sunpad aft, long sweeping bow, sleek roofline and, in the middle, a vast, single-level cockpit with enough seats for a football team and a wet-bar packed with features that are aimed at helping you have fun in the sun. 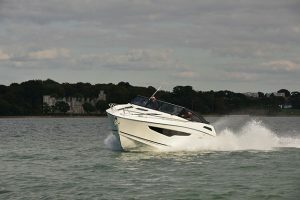 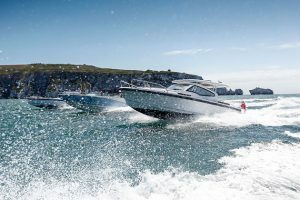 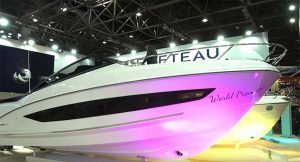 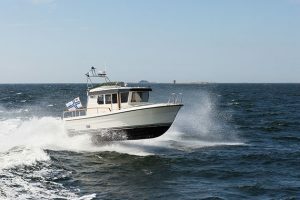 Then there’s the performance because with the largest pair of Volvo Penta D13 900hp engines this boat will romp along at 35 knots with ease and, in the turns, well it will embarrass a few RIBs. 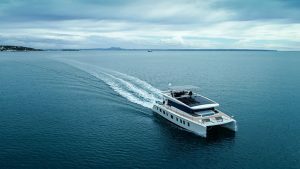 Despite the focus on deck spaces, though, below decks the V58 Open is immaculately finished and offers two excellent double cabins with a supplementary bunk cabin for occasional guests or children. 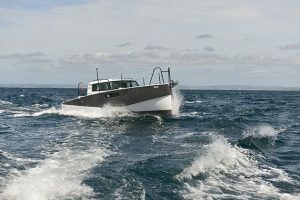 There is a deck saloon version of this boat on the way but, for now, lets bask in the glory of a sportscruiser that is doing it the traditional way. 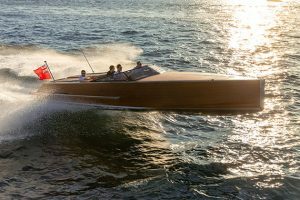 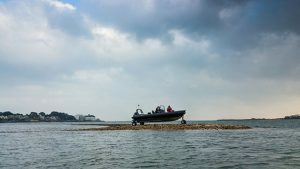 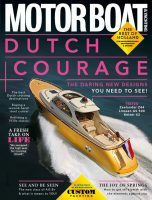 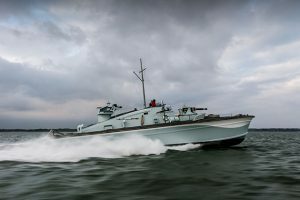 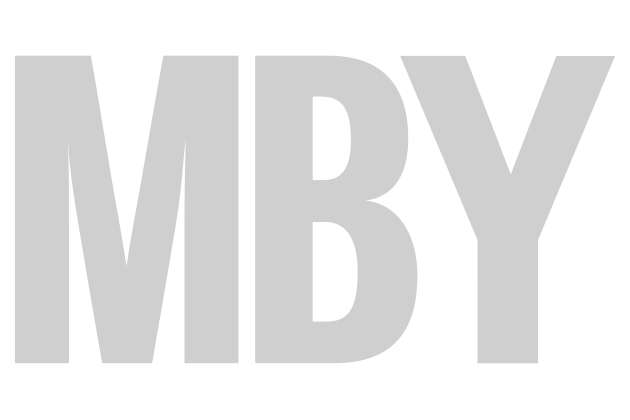 Read the full boat report in the February 2016 issue of the magazine, our 7 January.